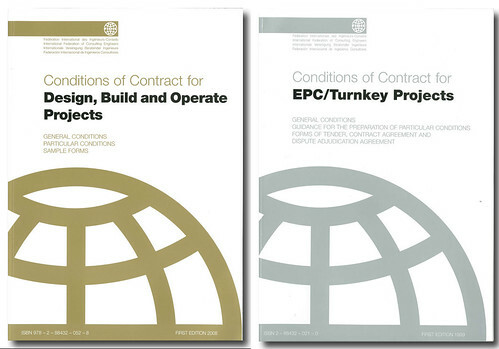 Within the EPC/Turnkey Based projects FIDIC Silver Book will be your guide. As my last two projects were EPC based and the last one is PPP (Public-Private Partnership) Infrastructure-Highway project within a multinational joint venture private partnership side on the other hand and if you have in the same kind of project (These days most of the Gulf projects based on PPP) you will see that your project is differentiated between sides of the projects like as below. That kind of structures could be really tough as a result of different needs of the parties in the different phases of the project and for this kind of situations New FIDIC DBO (aka FIDIC Gold Book) could be your solution. FIDIC DBO adopts the same format of existing FIDIC contracts (RED,Yellow, Silver, White Books) and further retains the style and most of the common definitions, paragraphs and structures that make FIDIC unique. It’s function is found in clause 9 entitled ‘Design – Build’ which specially provides for necessary elements to administrate the design and build component. New definitions specific to DBO projects have been included in the new form. After a short break, lets continue with the FIDIC Guidelines. I got mails requesting the rainbow books for share. Newbies of FIDIC, for a general overview please refer my previous post titled; FIDIC. 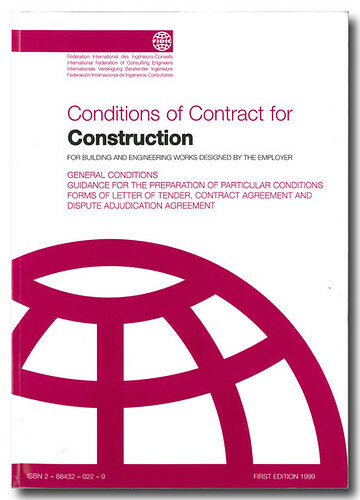 Our first Book is FIDIC Red Book, Conditions of Contract for Construction for Building and Engineering Works Designed by the Employer. Below you can read FIDIC Red Book full version’s copy. As it is mentioned in the title of the Blog I am a civil engineer and working for International Construction Project Management Firm. As a result of this FIDIC is one of my topics that needed to be worked/ studied on. I created a FIDIC starter guide who wants to learn general information about FIDIC on the Q-A (Questions and Answers) basis. or about sservices and historical backgound of FIDIC, refer Wikipedia page. Who are the FIDIC Members? Its members are national associations of consulting engineers. All contracts contain risks for Contracting Authorities/ Employers and Contractors – There is no risk-free contract and FIDIC attempts to rationalize and allocate responsibilities for main risks.